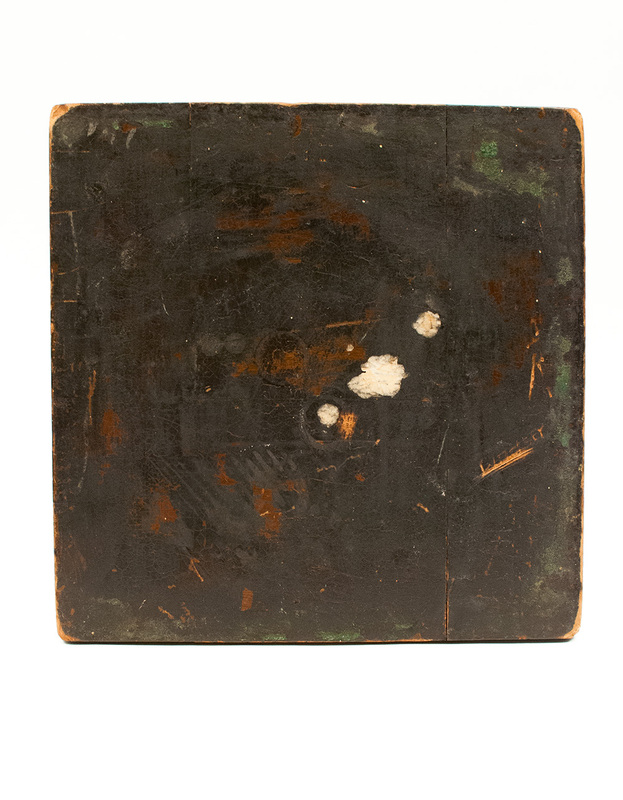 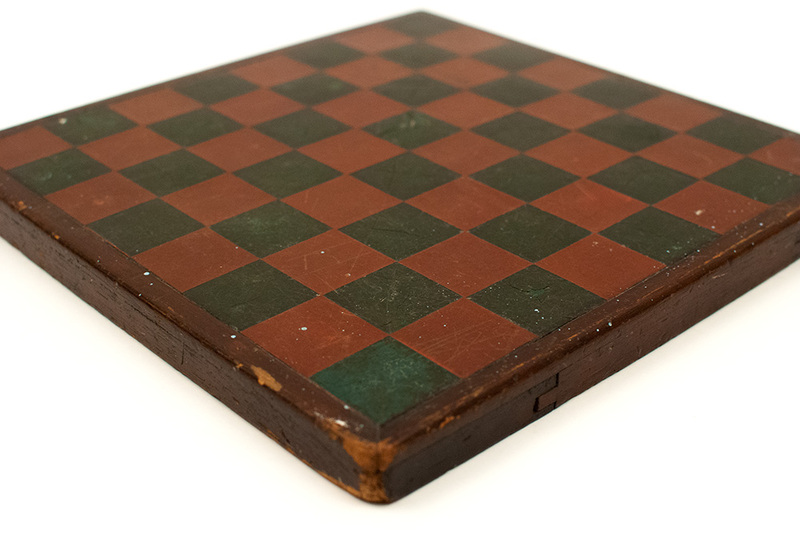 Circa 1900-1925: We have yet to see another antique gameboard with a rabbeted frame holding a painted composition board. 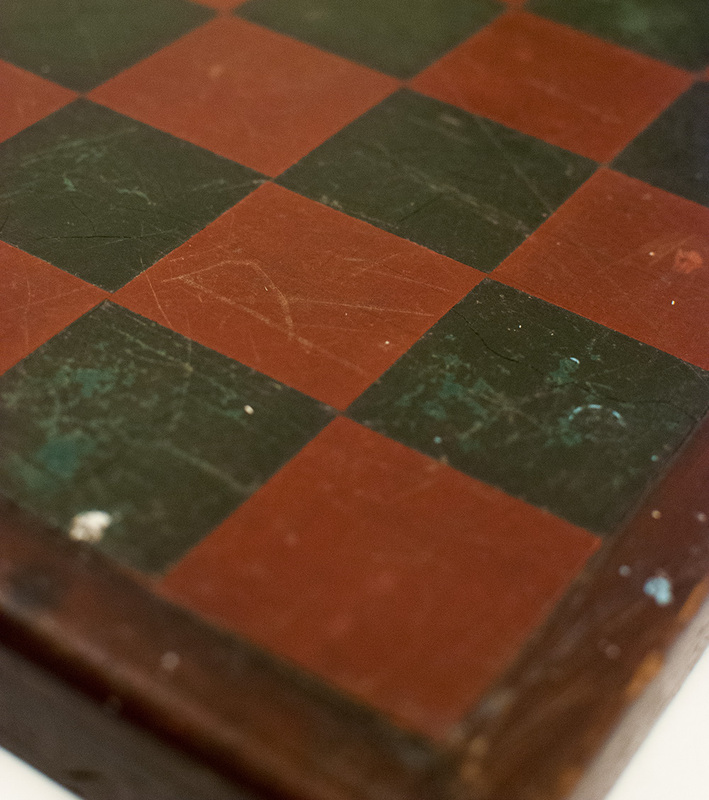 It is obvious the maker was a skillful craftsman because the board's construction method is one no beginner could tackle. 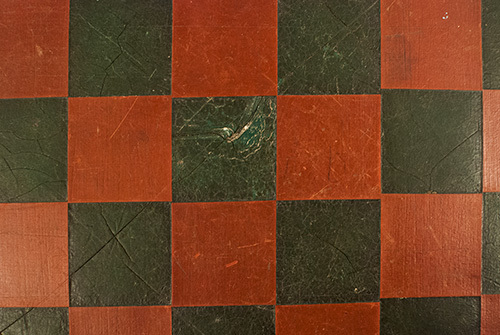 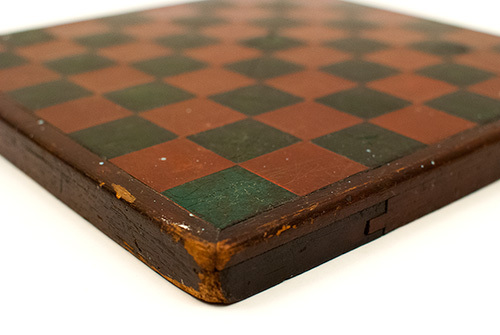 The constrion of the board is very similar to that of arts and crafts furniture of the early 20th century, and the board's simple design would have fit perfectly into a mission decor. 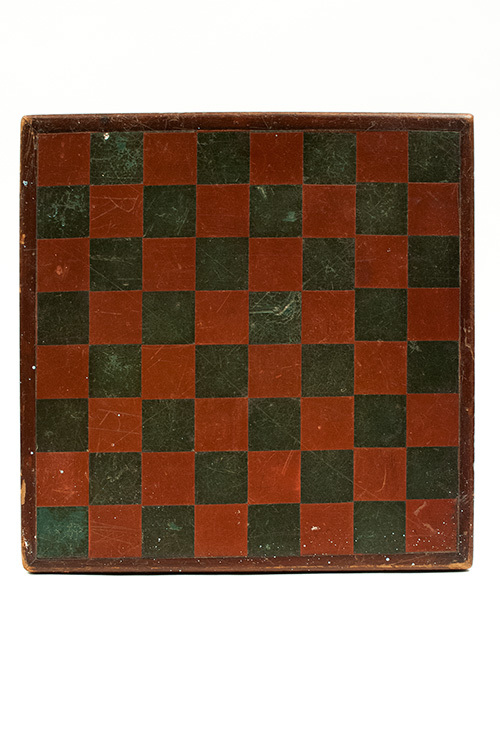 This wonderful three color board has red and green squares and a maroon frame and is very heavy for its compact 13" square size.